De su huerta al plato… Oleoteca Ses Escoles. 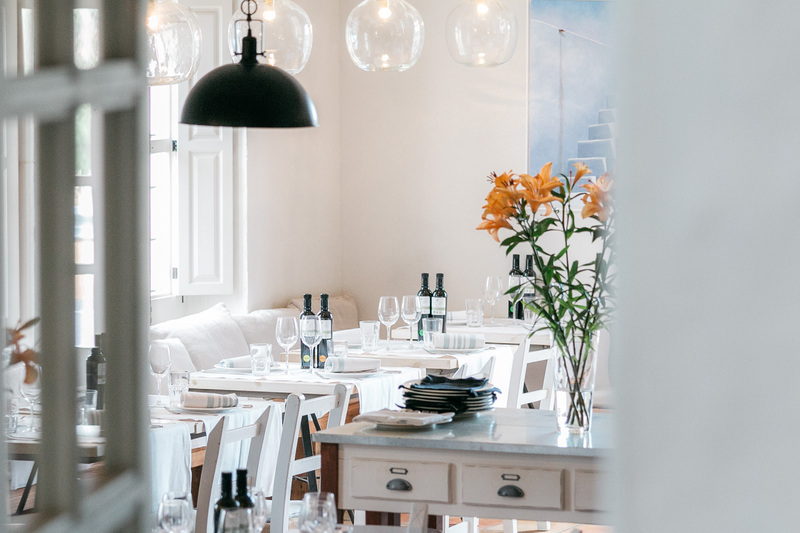 A very special setting… This restaurant, replete with its own olive grove and farm, is located in what used to be the old schoolhouses in the village of San Lorenzo. It is a place that retains all of the essence of yesteryear with truly charming touches. Thanks to an interior designer, the premises have acquired a rustic, natural style that is welcoming and relaxing. 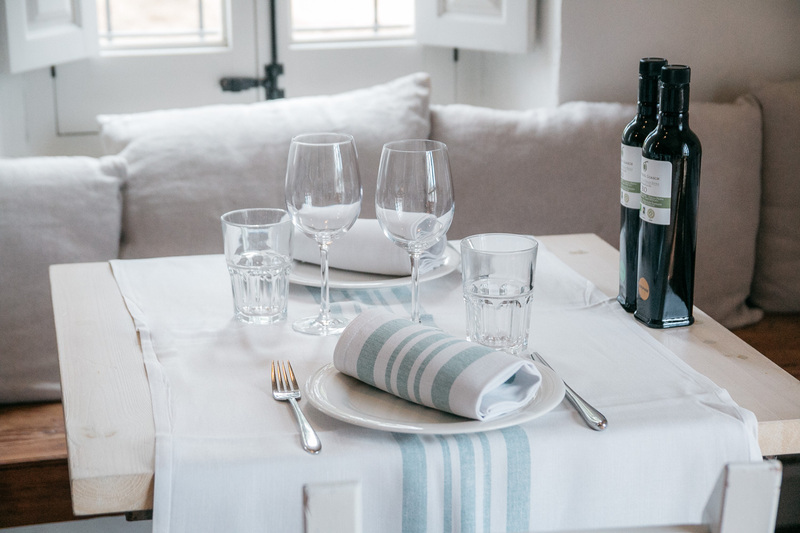 In regard to cuisine, the restaurant bases its fare on kilometre-0 produce, both from Ibiza and its own kitchen garden. One of Ses Escoles’ special features is its oil making facilities, where extra virgin olive oil is pressed under the label Can Miquel Guasch. There is also a little shop where we can purchase and taste this liquid gold, as we breathe in the essence of Ibiza surrounded by olive trees. 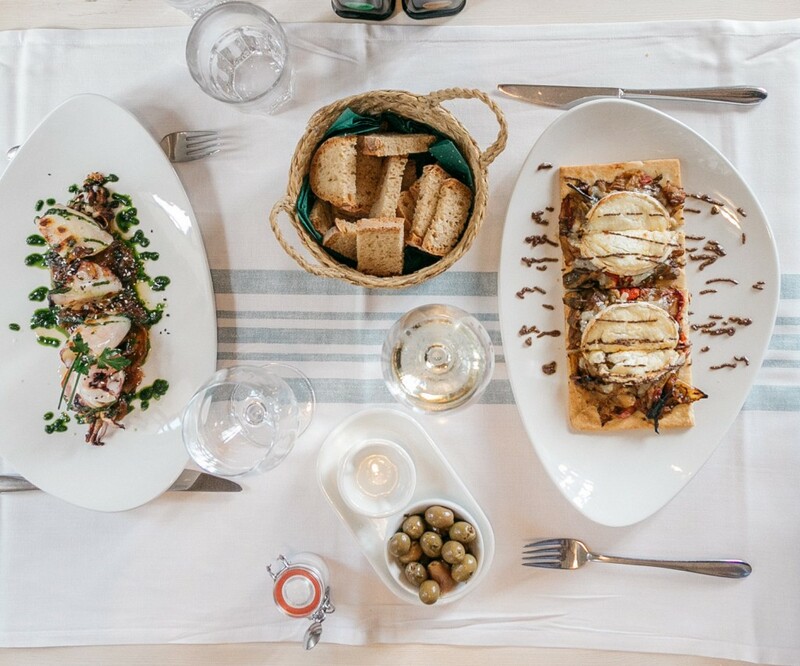 The dish we recommend from Ses Escoles is its “coca”, a type of flatbread with different toppings, typical of Ibiza and, in this case, totally reinvented by the chef. They come in 5 varieties: aubergine, sun-dried tomato, ratatouille and goat cheese. Which one do you fancy? Views and food that take your breath away in Es Nàutic Restaurant. 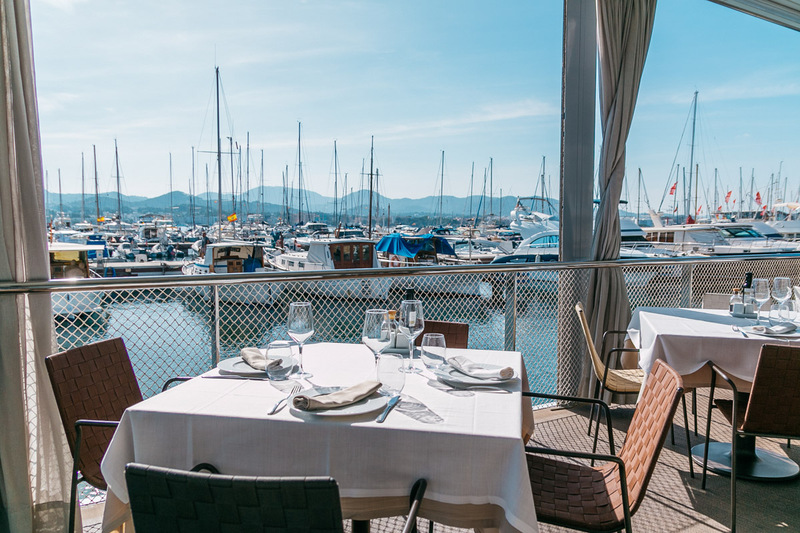 Right in the heart of Sant Antoni’s marina, we find one of the island’s classic and most well-known dining establishments: Restaurant Es Nàutic. 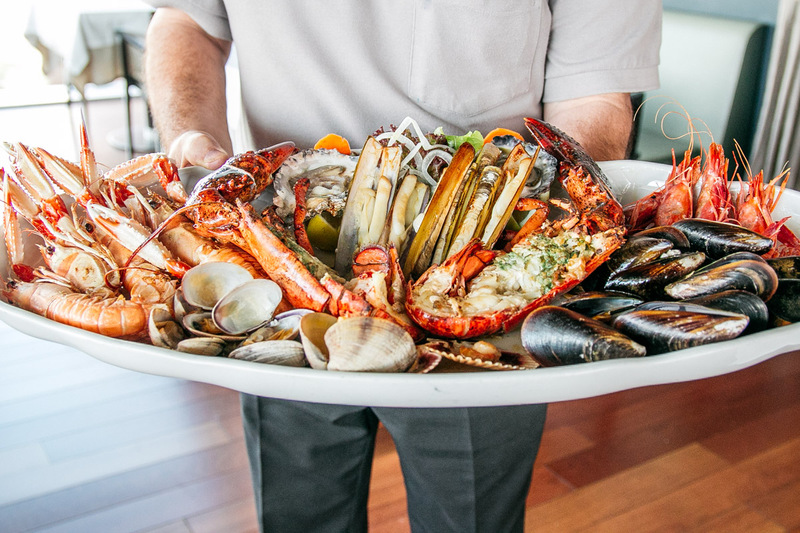 Top-rate cuisine with fresh fish and meat dishes as well as breakfasts, all served in an idyllic marine setting. 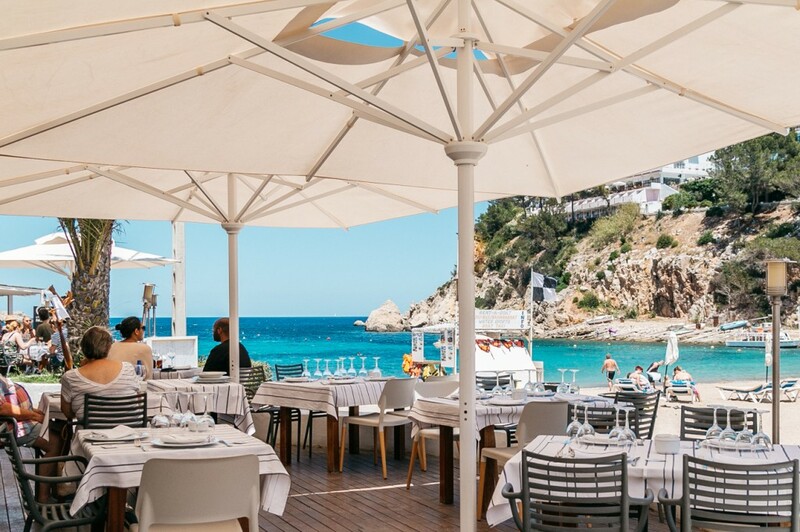 Moreover, its top terrace is the perfect place to enjoy their sushi menu or a cocktail as the sun sets over the Sant Antoni Bay. This ideal enclave is relaxed, select and professional with amazing rice dishes…just delicious.. Established for over 40 years, this beach restaurant holds pride of place among the island’s fish restaurants. At the edge of the water in Sant Miquel, its menu is chock-full of sea-based fare and features some of Ibiza’s stellar varieties of fish, like John Dory with its exquisite texture and red scorpionfish, as well as local fish stews such as Bullit de Peix – which, if you haven’t tried it yet – this would be a great place to do so, because they way they make it is out of this world! 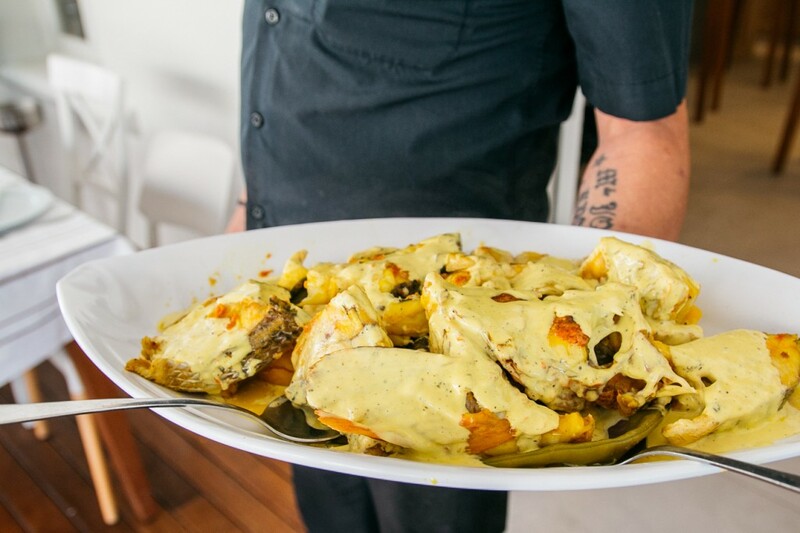 On the other hand, the catch of the day might be another irresistible option…just let your palate decide..